These double paw print cut outs on round gold plated charms make a perfect pair of earrings to show off your love for dogs and cats!! 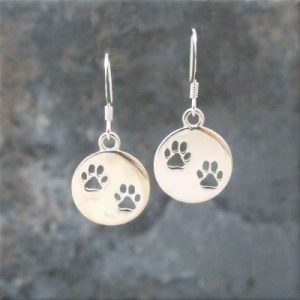 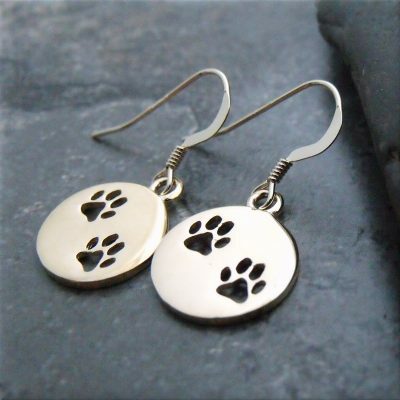 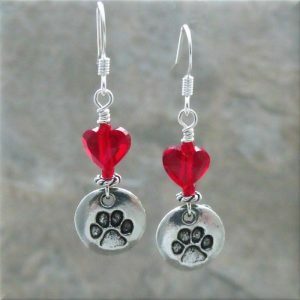 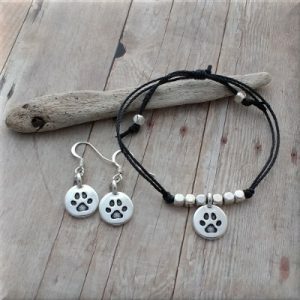 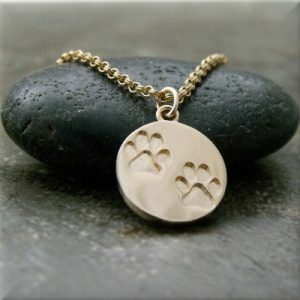 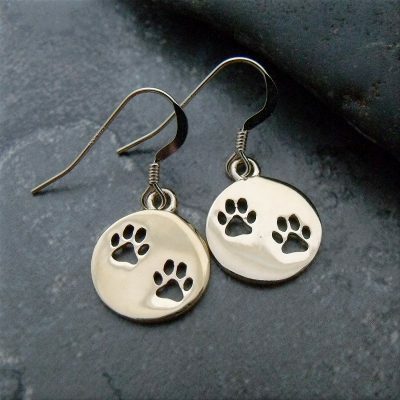 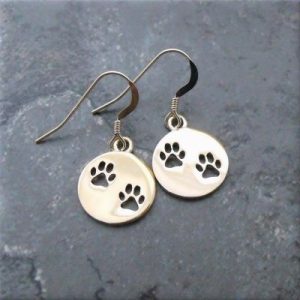 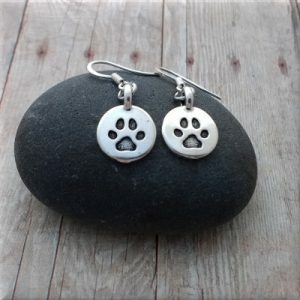 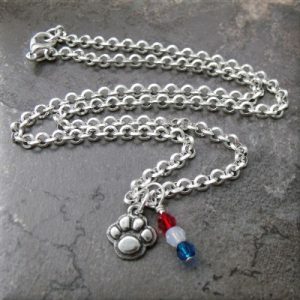 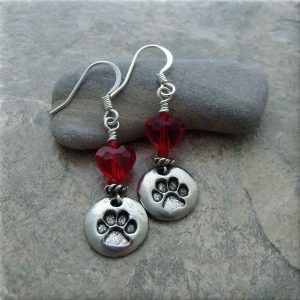 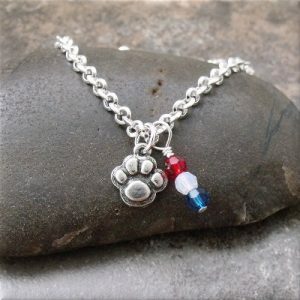 Made of gold-plated brass, the round cut out paw print charms hang from shiny gold-filled ear wires. 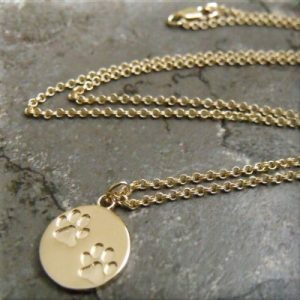 Light weight and easy to wear all day, everyday!